Cassie and I were chatting about our love for adult fiction, and we wanted to figure out a way to really highlight that love with a new feature. So, we're bringing you adult fiction reviews where we highlight five factors: The Frame (Setting), The Flow (Plot), The Faces (Characters), The Function (Writing Overall) and The Feelings (Relationships). Each of our posts will highlight our own thoughts on each of the five factors, so you can see side-by-side how our opinions stack up. Then, it all culminates in The Finale where we jointly share our overall feelings on the book with a rating that helps you find out how this book factors into our favorites pile. In honor of our February birthdays, Cassie and I decided to do a little something different with The Favorite Factor this month. It's a SPECIAL GIVEAWAY EDITION of this little feature! We've both chosen one of our favorite adult fiction that exemplifies each of the five categories, including a bonus book that includes all of the factors that go into making a book a favorite. Two people have a chance to win a book - it's double the fun! You get to pick from any of the 14 books highlighted in our posts. I didn't include Me Before You by Jojo Moyes or Nowhere But Home by Liza Palmer (two excellent books) because Cassie covered them in her list. I absolutely second both of those recommendations. 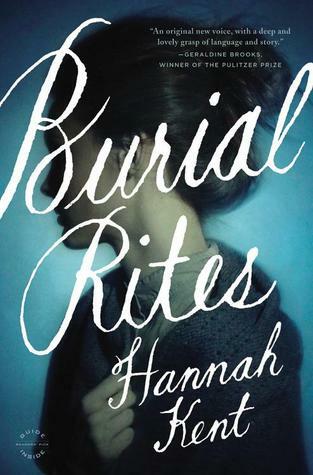 Burial Rites is set in Iceland in 1829. It's inspired by a true story: the final days of a young woman, Agnes, accused of murder and sent to an isolated farm to await her own execution. As I wrote in my review: "The setting is bleak, isolated, lonely and desolate... much like Agnes' future. Kent has painted a picture of Iceland that makes you feel as though you're there. The setting is the perfect reflection of Agnes' desperation. But there's also this quiet hope, this yearning for truth, and this desire to be understood. To be known." "The name is everything that went wrong. Illugastadir, the farm by the sea, where the soft air rings with the clang of the smithy, and gulls caw, and seals roll over in their fat. Illugastadir, where the night is lit by fire, where smoke turns in the early morning to engulf the stars, and in ruins, always Illugastadir, cradling dead bodies in its cage of burnt beams." 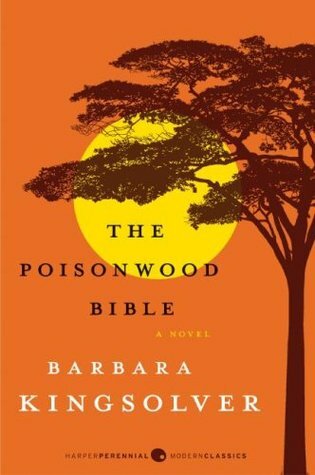 The Poisonwood Bible "is a story told by the wife and four daughters of Nathan price, a fierce, evangelical Baptist who takes his family and mission to the Belgian Congo in 1959.... What follows is a suspenseful epic of one family's tragic undoing and remarkable reconstruction over the course of three decades in post-colonial Africa." This novel was an option on one of my high school English summer reading lists, and I was intrigued enough by the summary to give it a shot. I absolutely fell in love with this story, and I almost made it the overall winner because the setting, the characters, the story, the writing and the relationships are also really strong in this one. 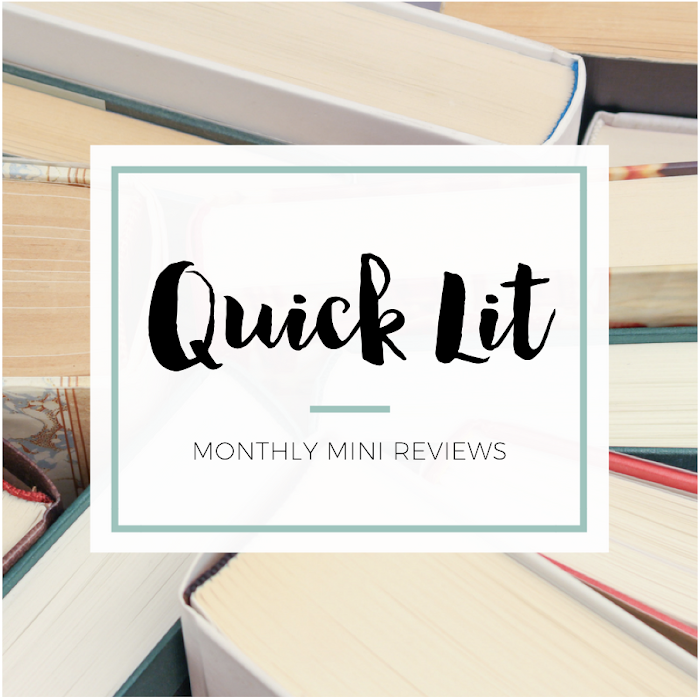 It's one of my favorite adult fiction novels, and I'm excited to feature it! I don't want to say too much about the plot, and it's hard to provide a quote that showcases the plot, just know that it's such an interesting read! 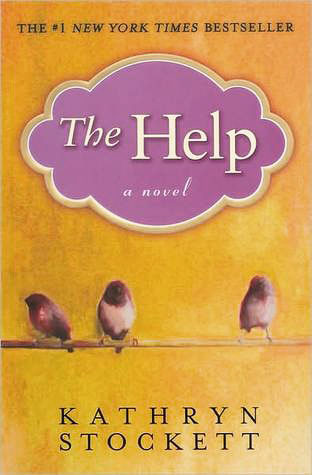 The Help is set in Mississippi in 1962 and is narrated by three complex, incredible women: Skeeter, Aibileen, and Minny. Skeeter a twenty-two-year-old white woman who has just graduated from college, and Aibileen and Minny are two black maids. The three women are all different, but they come together for a secret and risky project. If I were to guess, this is probably the book on my list that most people have read. But I still had to pick it! I remember reading this and falling in love with all the characters - not just the narrators. Even the secondary characters are memorable. "She's got so many azalea bushes, her yard's going to look like Gone with the Wind come spring. I don't like azaleas and I sure didn't like that movie, the way they made slavery look like a bit happy tea party. If I'd played Mammy, I'd of told Scarlett to stick those green draperies up her white little pooper. Make her own damn man-catching dress." I think everyone knows that Rainbow Rowell is an amazing writer because 2013 was basically the year she won everyone's hearts with two incredible YA books. But before they existed, she wrote this adorable and amazing adult fiction book. In my review, I wrote: "As soon as I started reading it, I absolutely couldn't put it down. I was flying through, flipping pages frantically, and alternating between smiling and sighing over it. I cannot begin to tell you how refreshing this book was for me!" Trust me when I tell you that Rainbow Rowell rules at writing. There's so much warmth and humor in this book. I'm already hankering for a re-read of it! "He knew why he wanted to kiss her. Because she was beautiful. And before that, because she was kind. And before that, because she was smart and funny. Because she was exactly the right kind of smart and funny. Because he could imagine taking a long trip with her without ever getting bored. Because whenever he saw something new and interesting, or new and ridiculous, he always wondered what she'd have to say about it - how many stars she'd give it and why." Cassie and I allowed ourselves only one runner up in a single category, and this is mine. Forever, Interrupted is a debut novel that I just read recently and loved. Based on the summary, it sounded like a sad book: Elsie Porter is an average twentysomething who falls head over heels for Ben Ross. They elope after dating for just a few months… and nine days later, Ben is killed in an accident. Well, this book completely surprised me. I loved the way it was written: flipping between flashbacks telling Ben and Elsie's story and Elsie's present-day life without Ben. Reid's writing really made me fall in love with the characters and connect emotionally to the story. This is one of my more recent favorite adult fiction favorites, and I'm looking forward to more from Reid in the future. "I didn't even notice Ben sitting there. I was far too involved with the minutiae of trying to buy a pizza. Once the cashier told me it would be another ten minutes, I retired to the small bench in the front of the store, and it was then that I noticed there was another person in the same predicament. My heart didn't skip a beat. I had no idea he was 'it'; it was 'he.' He was the man I'd dreamed about as a child, wondering what my husband would look like. I was seeing this face I had wondered about my whole life and it was right here in front of me and I didn't recognize it. All I thought was, He'll probably get his pizza before I get mine." You know those books that are just so perfect for you in that moment when you read them? That was The Opposite of Love for me. I wasn't even at the same stage of life as the heroine (or even in the same state emotionally), but I just connected so much to her story. This is the book I love so much that I almost never push it on anyone because it's too special to me. It won't be right for everyone, but it was the right book for me. The feelings in this book aren't really romantic ones, although it does have one of my all-time favorite passages about missing someone that you love. So, I didn't pick it because it's my favorite love story. There's loneliness, depression, loss, apathy, and heartache in this book... but it's not really a sad story. It's hopeful - you see Emily struggle and stall out, but you also get to see her grow and come into her own. There isn't a lot that happens because it's more about the character and her emotional journey than anything else. I knew in the very first chapter that I was going to love this book, and I was right. I've read already read this book at least four times. "Maybe the aftermath of loss - the crumbs of memory - has, in some ways, scarred me more than the loss itself. The truth is I've never learned to ride a bicycle, because, among other reasons, it is something you can never forget. This is who I am: someone who simultaneously longs for and fears the commitment of remembering. There is the forgetting, the disintegration of memory, morsel by morsel; and there is the impossibility of forgetting, the scar tissue, with its insulated layers of padding. Both haunt me in their own way." This 810-page novel is set in Russia at the start of World War II and is the first book in a trilogy. It's historical fiction and is, above all, an epic love story. I read this because Kelly kept pushing it so hard, and I'm a total sucker for reads like this one. And then I read it in a day. The second and third book are just as long, and I read both within a week of finishing this one. 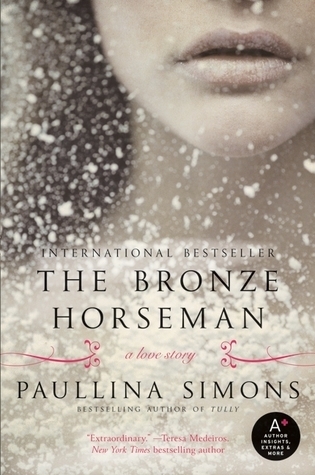 To say I'm so obsessed with The Bronze Horseman right now is an understatement. There are so many things packed into these pages: intense feelings, gripping plot, complex and flawed characters, an unique setting, and writing that made everything come alive for me while I read! Objectively, I know this book isn't for everyone. Judging by the book's Goodreads page, it seems like people either love it or hate it. There were a few things I didn't love about this book, but it's still overall one of my very favorite reads. I had to pick it for the overall winner because I'm still on a high after finishing it! "Alexander, were you looking for me?" Don't forget to check out Cassie's picks! FUN! Happy (belated?) birthday! I think I knew once upon a time that you were a February birthday girl, but then I forgot. Apologies!!!! Hope you had (or will have?) an absolutely wonderful birthday!!!!! You know what's awful?! I haven't read anything else by her! I keep meaning to - and even own The Bean Trees, I think - but just haven't gotten around to it yet. I'm so happy to have your high recommendation for her other stuff though. And that there are similarities between all of her books - that makes me so excited to read them. Oh my gracious, Hannah. First of all, this is a great feature-in-a-feature and thanks for doing it. It's a lovely opportunity that you and Cassie are hosting here and I just love it. Also, Attachments. My favorite book from last year. I don't even know what else to say about it because I don't think I can. Burial Rites is sitting to my left - we talked about me reading that earlier today - I'm so excited. I looked for The Opposite of Love when I went to the library the other day, actually, and they didn't have it in. I was very disappointed because I know you love that one so much. And I have The Bronze Horseman on my list now after you and Kelly both love it so much. So much greatness here. OH! And Forever, Interrupted - I WANT TO READ THAT SO MUCH. I need to import this list to my bookshelves, basically. Oh yay! 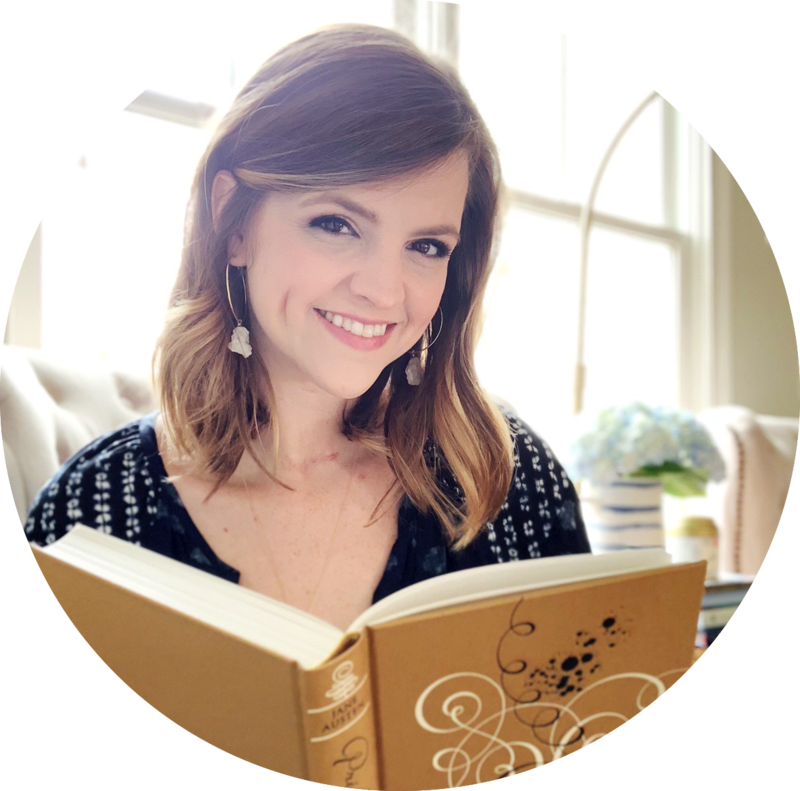 I was so excited when Cass suggested the giveaway idea - it was great to highlight some books that I just adored and give people an opportunity to win a copy. 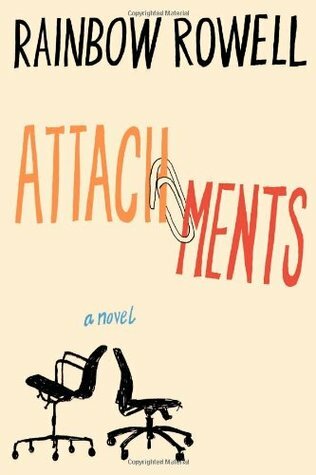 I will be re-reading Attachments this year FOR SURE. I can't wait to revisit those characters. And yes, please import the rest of this list to your bookshelves. Please. I want to have ALL THE BOOKISH DISCUSSIONS about them with you. OKAY well we can discuss Burial Rites because I think I'm at a place where I can actually DO THAT NOW. Also Forever, Interrupted is in my library bag as you know so if I can get to that one there is another discussion. And MAN I want to read The Bronze Horseman but I may have to wait just a bit until I have a teensy chunk of time. They didn't have The Opposite of Love the other day AGAIN but you know, eventually they will. So, yeah, all the discussions. ALL OF THEM. Okay, I just want to let it be known that I have only read ONE of the books in this book (Attachments -- I just finished yesterday and it was ADORABLE). I seriously am taking note of all the titles though, because they sound FANTASTIC. What a great idea for The Favorite Factor this month, girls! It's SO ADORABLE! So glad you've read it :) And I'm so happy you like the titles AND the twist on The Favorite Factor! Love this post! And I'm so glad to see Forever Interrupted included. I really really loved that book, and I want more people to discover it! Have you read Prodigal Summer by Kingsolver? I bought that one at a used bookstore a long time ago, and devoured it. I have another one of her books on my Nook but GUESS WHAT. I haven't read it yet. I rule. 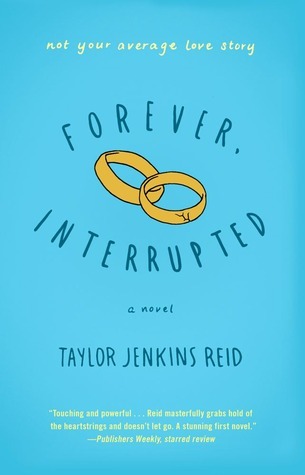 I'm so glad that you blogged about Forever, Interrupted! You're totally the one who put it on my radar :) And I haven't read anything else by Kingsolver. I keep meaning to though. OMG I LOVE THIS!!! THE BRONZE HORSEMAN?!!??!!? I can't....I just CAN'T! The Poisonwood Bible sounds really good! And you know I wanna read Burial Rites. I've got Forever, Interrupted per you from the library :) And you KNOW how much I love Attachments and The Help! 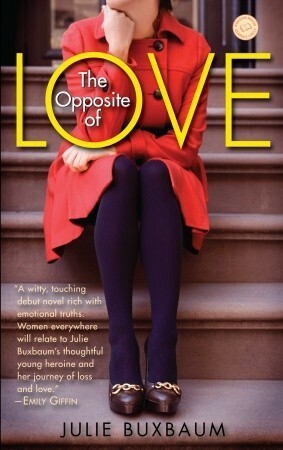 And The Opposite of Love is something I am SO going to read soon! How do I pick which book I want?! Okay, I actually haven't read ANYTHING on this list! However, I bought the bronze horseman after seeing Kelly gush about it and it just arrived today! So that will happen soon. ANyway, I've been meaning to read Attachments and the Help but haven't yet! Forever, interrupted sounds so good, i really want to check that out too! !